Arrived late June 2018, in Grainpro, unusual for a Colombia. The Nariño region is located in the southwestern corner of Colombia, merging the central and western mountain ranges of the Colombian Andes. The Department (State) of Nariño is abundant in volcanic soil with good rainfall. Coffee is harvested there by indigenous groups. 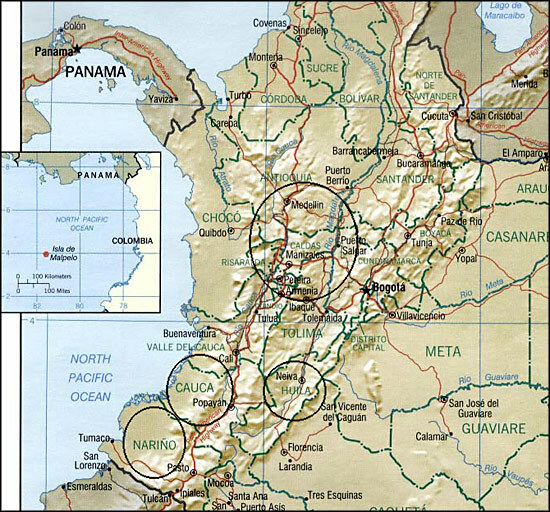 Narino is surrounded by Tolima, Cauca and Huila which together comprise the Southern growing region. Crops are harvested from April to June and from October to December. About 90% of coffee in the area is grown in full or partial shade. Elevations run as high as 1750 to 2100 meters. Ripe cherries are hand picked, mostly by women from the region, then wet processed using traditional fermentation, washing with pure mountain water using a series of canals, and sun-drying on patios. Supremo beans are large and uniform with 90% of them over screen 18. Varieties seen here are mostly Caturra and Castillo. Supremo beans merged from area smallholders can be simple, clean and verstile. Use them for single origin, blend components to add brightness and dark roasts. 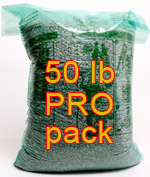 They are dense, durable and large. Cup Characteristics: Clean and bright with intense aroma. Acidity is notable particular at lighter roast levels and there is generous sweetness. Nice preparation. Roasting Notes: Durable, high grown coffee capable of roasts between City Plus (C+) and dark roasts past second crack, and steps in between. The beans are large and dense, having enough acidity to hold up to dark roasting while still being flavorful.